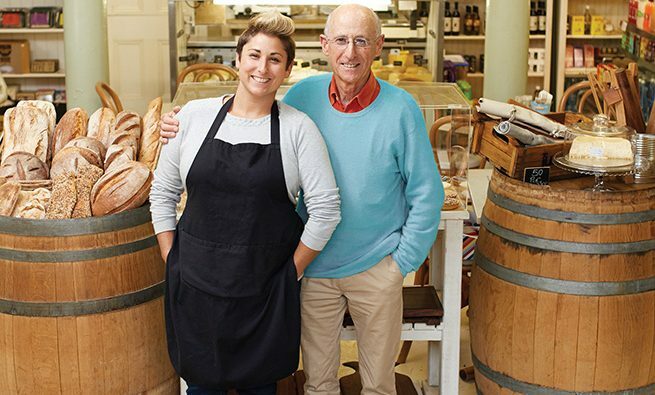 Family businesses offer a unique set of challenges for the accounting professional. According to the 2016 FEUSA (Family Enterprise USA) Family Business Survey, more than 60% of businesses in the United States are family-owned businesses. When family and business matters mix or overlap, it can add a whole new set of problems to be handled. Accounting professionals working for a family business must be prepared to face these issues by trying to protect the interests and concerns of the business while negotiating the complexities of family dynamics. The family closely integrates with the business, and disagreements cross the family/business boundary. Familial relationships are relied on instead of business relationships, so company hierarchy is ignored or nonexistent. This can result in a lack of clearly defined roles and lots of crossover within positions. Family members regularly mingle business and personal expenses. Nonfamily staff members may begin to think of themselves as family and regularly step “out of bounds” or expect perks of the family. These staff members see the lack of hierarchy and may disrespect family members that are above them on the organizational chart. Central to all of these problems is a failure to document anything. Family business owners often seem to believe that blood is thicker than law and that problems will never arise. This leads to many informal agreements based only on a nod or a wink. Unfortunately, these can have many unintended and unforeseen consequences, such as disagreements that can cause family rifts and disrupt business. These problems can last years and even decades. As a result, the business suffers. Another problem is that many family business owners can’t function in larger, more structured environments. This alone can lead to a lack of documentation, as it goes against their very natures. Add this to the number of owners who have extremely highly developed denial functions, and it makes a downright annihilating combination. At the same time, the very ability to deny risk may be part of why they are able to successfully start businesses that would scare off the rest of us. Family businesses also often lack succession planning. The fear of death or even retirement scares many business owners, and they think they can worry about the future when they’re ready to retire. They forget (or disregard) that accidents can and do happen when you least expect them. When they do, the company is crippled. Small problems become colossal, and glaring holes in the company become apparent. It might lead to the discovery that family members have invested in the company without equity. There may be loan agreements, leases, or master service agreements that haven’t been fully documented or fulfilled. Any change is difficult because the entire family culture, history, and individual upbringing is involved. Family members will be scared and defensive, and this, in turn, will cause nonfamily staff to be scared and defensive as well. If you are an accounting professional working for a family business, you need to be ready for and have plans for these challenges should they arise. How you do so can vary depending on whether you’re a member of the family or not. If you’re a family member, you’re definitely in a unique position. On the one hand, other employees may feel that you have more influence than you really do: They may try to curry special favors from you, and this can lead to their thinking you aren’t supportive or, worse yet, lying when you tell them you can’t make something happen. On the other hand, family members and other employees may think that you have the position because you’re family and, therefore, won’t respect the recommendations or changes you do make because they don’t recognize your knowledge and expertise. This can also mean that family members may need to develop a “have the expert tell them” strategy to get other family members to listen. A good outside accountant can help with this. If you aren’t a family member, remember that family businesses can be highly emotional. As such, you’ll have to show more than the usual personal concern for all employees, especially the family members. There’s a fine line between being professional and nosy, and you would never want to cross that line. Friendliness and an outgoing personality can help you maintain a good working relationship with all family members. It may also alert you to internal family problems before they’re announced to the company. You may not be able to react to everything, but being aware of the tensions and problems will help you be more sensitive in communicating with others. Like in larger corporate settings, you’ll want to document everything. One suggestion is to make a “Memo to File.” Even if that memo never goes anywhere, you’ll have documented what happened, to whom you spoke, and the concerns and resolutions you may have presented. This may be invaluable in the future when there’s a major shake-up in the family. Second to this, try to confirm conversations and instructions via email if at all possible. If not, write a note to yourself and have your supervisor or the family member giving you the instructions read it over and even initial that you have everything right. In smaller family businesses, you may be in charge of financial matters and human resources. Staying on top of the law is critical, as is maintaining a close relationship with the family banker, lawyer, and any other close family advisor. Families are quick to shift blame, and often the person it lands on is the person who isn’t part of the family. You may want to build a file of resources for various problems that may arise. These could be human resources professionals or websites, various government agencies governing your particular industry, and even small business or family business advisory websites. You may have to be a bit of an expert on everything in order to advise the family on all the issues they may disagree on. There’s no easy answer for dealing with all the complexities inherent in a family business since there is no one solution that will work in every company. When family and business issues mix, it’s often the case that family members don’t want to or refuse to “hear” what you’re advising. Relying on a trusted family advisor whom the family holds in high regard, such as a banker, lawyer, clergy member, or confidant, may go far in resolving any issues that arise from a failure to document. Lydia M. Davenport is the accounting consultant at Your Accounting Pros. She is a member of IMA’s Los Angeles Metro Chapter. You can contact her at ldavenport@youracctgpros.com.